Breast cancer awareness has been on the rise over the years. Many women have heeded the warnings of doctors and peers. The fact is, early intervention and treatment is key to an excellent prognosis and a positive outcome, in spite of what is initially a jarring diagnosis. Dentists even weigh in on this matter by keeping patients awareness heightened that there is a relationship between oral health and breast cancer. Nearly 80% of Americans have some form of gum disease. The World Health Organization (WHO) led a study from 1985 to 2001 linking gum disease to a possible increased risk for breast cancer. 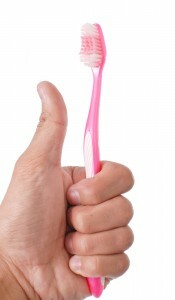 There tends to be an ongoing debate about whether gum disease is directly related to various cancers and other health issues, but there is no question that the same bacteria which cause gum disease have been found in other parts of the body, leading experts to hypothesize that these bacteria might be responsible for higher consequences than just oral health. Patients undergoing chemotherapy may experience oral health issues. Some of the symptoms reported as a result of cancer treatments include toothaches with no visible tooth damage, dry mouth, sore throats, inflammation and infection in the mouth, strange tastes in the mouth, difficulty swallowing, and thrush (a yeast infection in the mouth). Maintaining your regular six month checkups is important to make sure that your compromised health will be in any further danger from the gateway of your mouth. Whether or not definitive proof exists of an oral-systemic connection, most patients with breast cancer, or any form of cancer, are not going to want to take any chances in a weakened state. If you are looking for a dentist in the Des Moines area who delivers award winning dental care, contact Dr. Jessica Johnson. To schedule your visit at Valley Ridge Family Dental, contact our West Des Moines dentist office at (515) 223-9764. 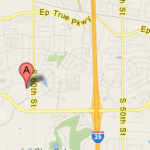 We serve West Des Moines, Waukeen, Clive, Urbandale, and the surrounding Des Moines metro communities. This entry was posted	on Friday, August 1st, 2014 at 6:59 pm	and is filed under Family Dentistry, Patient Education. You can follow any responses to this entry through the RSS 2.0 feed. Responses are currently closed, but you can trackback from your own site.